Browns are the North of England’s most prestigious of department stores. In an increasingly competitive marketplace it was important to develop a strategy that built upon the business core strengths and leverage ‘onmi-channel’ thinking to develop customer loyalty and multi-channel growth. 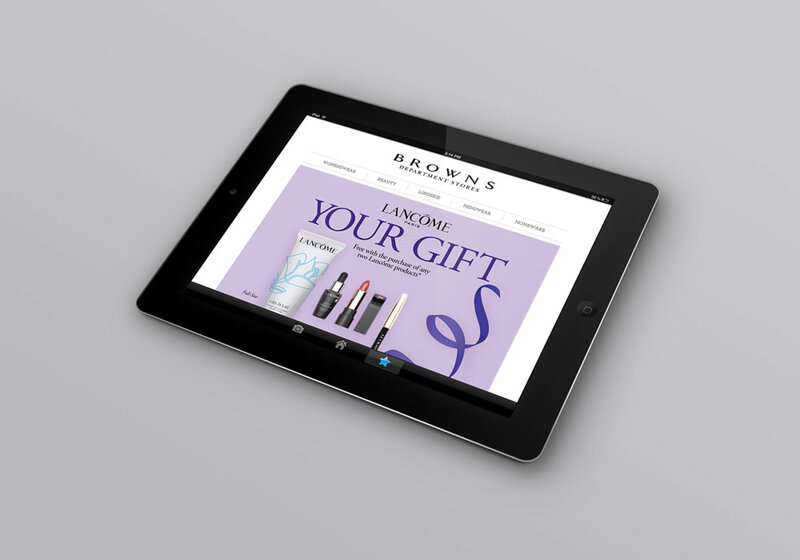 We have developed a loyalty programme, created an online presence and delivered email, text and direct based marketing that has enabled the client to grow dramatically his customer database, deliver better returns from his advertising and improved his customer service. The application of Redfish technology, cost effective marketing and considered development of our brand is now enabling us to market directly to our customers extremely effectively. It has enabled us to re-evaluate our media spend and would recommend the Redfish strategy of ‘cross channel’ marketing to retailers.